We understand. Whether it's an important client or co-worker, a close friend, or a family member, the most important thing about your phone is them. That's why we provide our customers with landline service that's both competitively priced and reliable. That's also why we give you the one-of-a-kind support that only we can offer. We treat your problems and concerns like we would our own. Be it a quick reply to a question sent from our website or a live person picking up the phone when you call, you can trust that we're putting in the effort to listen and respond to what's important to you with your telephone and Prodigi Cable TV in WV. Starting at below $20, our rates may just be the perfect fit for your needs. Whether you simply need a home phone in WV, or you need an advanced Centrex or VoIP system for your business, we have a solution for you. Because prices vary based on your location and needs, we take a personalized approach to helping you find the right package for your home or business. The best way to get started is to give us a call at 866-776-2662 on all existing accounts and at 888-713-0217 for all sales calls or use the contact form and give us a little information about what you're looking for with your telephone service and cable TV in Oakland, MD. Either way, one of our low-pressure sales staff will be happy to help find the package that's just right for you. The Customer Care Center for Persons with Disabilities assists customers who are vision- or hearing-impaired, have mobility, cognitive, or other disabilities. If you are a Mountain Communications customer with a disability, we can design communications solutions for you and determine whether you qualify for service discounts. We will also help you with service orders, repair services and billing questions. Dial a Special Toll Free Number Relay which is a free communications service that connects individuals who are deaf, hard of hearing or have speech disabilities with others using standard telephone equipment or telephone equipment designed for individuals with disabilities. To use Relay dial one of the toll free numbers listed herein. A specially trained Communications Assistant (CA) will answer your call and relay the telephone conversation between you and the party you are calling. All call information and conversations are confidential. Relay service is available 24 hours a day, 365 days a year. Long distance calls placed for you can be billed to your existing long-distance service calling plan, collect, or with use of pre-paid calling card, carrier-calling card, or third-party billing. Hearing-Carry-Over. HCO allows hearing individuals with very limited or no speech capability to type his or her conversation for the Communications Assistant to read aloud to the hearing person. The HCO users hears the other party’s response. HCO requires a specially designated telephone. Internet Relay. Connect to the relay using your computer or other web device. The Communications Assistant handles the call the same as traditional relay call – “voicing” or reading everything you type to the other party – and typing everything the other party says for you to read on your screen. Spanish Relay. Spanish Relay is for Spanish speaking individuals with a hearing or speech disability. Speech-to-Speech. STS allows a person who has difficulty speaking or being understood on the phone to communicate using his or her own voice or voice synthesizer. The Communications Assistant revoices the words of the person with the speech disability so the person on the call can understand them. No special telephone is required. Text Telephone (TTY). Allows anyone who is deaf, hard of hearing or speech disabled to use a TTY to communicate with anyone using a standard telephone. TTY User and Emergency Assistance (“9-1-1”). TTY callers should dial 9-1-1 directly. All 9-1-1 centers are equipped to handle TTY calls. Using Relay for 9-1-1 may result in a delay to getting your urgent message through. Video Relay Service (VRS). Allows natural telephone communication between Sign Language and standard telephone users. The service requires high-speed Internet service using DSL, cable modem, or mobile broadband modem. Voice-Carry-Over. VCO enables people who have difficulty in hearing on the phone to voice their conversations directly to the hearing person. The CA then types the hearing person’s response to the VCO user. Requires a special telephone with text display. Voice/Standard Telephone. 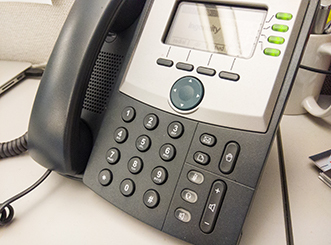 A hearing person may use a standard telephone to place a relay call and easily converse with a person who is deaf, hard of hearing or speech disabled. Captioned Telephone Service (CapTel™). CapTel™ allows a person who has hearing loss to receive word-for-word captions of their telephone conversations on the phone. To use captioned telephone service, one must have a CapTel™ phone. The captions are displayed on the telephone’s built-in display screen so that the user can read the words while listening to the voice of the other party.